The Committee considers groundwater contamination to be the detrimental alteration of the naturally occurring physical, thermal, chemical, or biological quality of groundwater. The National Ground Water Association and Ground Water Protection Council have produced a water-testing brochure for household water well owners living near oil and gas development and completion activities, including hydraulic fracturing. The Federal Emergency Management Agency, Florida Department of Health, Minnesota Department of Health, Virginia Tech Cooperation Extension, Texas A&M AgriLife Extension Service, and Texas Commission on Environmental Quality have produced How To Disinfect A Private Well System for private water well owners after their water well has been flooded; additional translations are also available. The Texas A&M AgriLife Extension Service on-line Bookstore offers a number of publications on drinking water contamination (e.g., lead, arsenic, copper, nitrates, radionuclides, etc. ), as well as introductory fact sheets such as "Solving Water Quality Problems in the Home" (L-5450) and "What's In My Water?" (E-176). Free electronic downloads of these publications (add an "e" in front of the publication number) are also available after setting up an account. Texas' groundwater policy adhere's to the Legislature's goal of non-degradation of the state's groundwater resources. Regulated activities such as pollution discharge and waste disposal should be conducted in a manner that preserves present and future uses of groundwater. Impacted groundwater should be restored, if feasible. Most of Texas' major and minor aquifers provide safe and sufficient water for all uses. Existing groundwater quality in Texas varies among the major and minor aquifers. In a small percentage of wells, contaminants such as nitrate, sulfate and total dissolved solids have exceeded federal standards. There is considerable debate as to whether contaminants such as nitrate and sulfate are naturally occurring or the result of man-made activities. However, no controversy exists over the documentation of groundwater contamination cases listed in the Joint Groundwater Monitoring and Contamination Report (see the TGPC Publications webpage for the current version). An interactive, online map ("Viewer") of the cases in the Joint Groundwater Monitoring and Contamination Report is available that provides users with the ability to query the database for the current and some previous years, obtain spatial relationship information about these cases, and download the data. See the User Guide for more information. The most commonly reported contaminants come from petroleum storage tank facilities in heavily populated areas of the state such as Houston, Dallas, Fort Worth, San Antonio and El Paso. Contaminants are often released from leaking petroleum storage tanks that include gasoline, diesel, and other petroleum products. Regulations regarding petroleum storage tanks should reduce further threats of contamination. Tex*A*Syst provides a number of great resources reducing groundwater contamination. 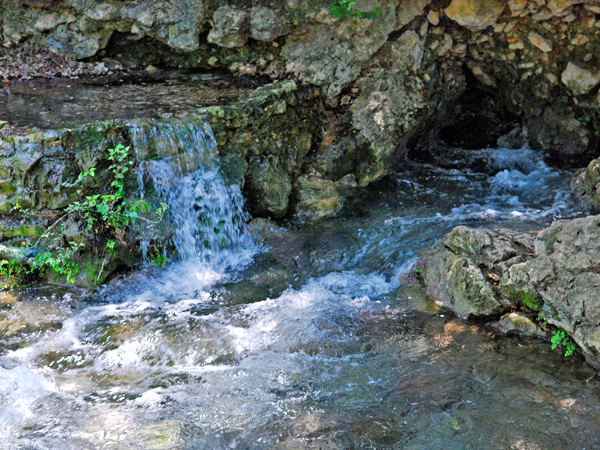 Texas Commission on Environmental Quality's Edwards Aquifer Protection Program. The Edwards Aquifer is regulated differently from other Texas aquifers. For reporting unauthorized discharges and spills, please call the Texas Commission on Environmental Quality's (TCEQ's) State of Texas Spill-Reporting Hotline within 24 hours after occurrence at 1-800-832-8224. For imminent and dangerous situations, contact the Emergency Response Center at 512/239-2507 or 1-800-832-8224 and the Regional Directory.